Have a look here - great living awaits. Well maintained home. This house is 75 years old and has 3 bedrooms and 1 bathroom. The lot is a total of .561 of an acre and the area of this home is 1109 sq. ft. Don't want a project? This could be your next home. This home features a woodstove for those cold winter evenings and to conserve heating costs. Water is sourced from a private well and sewage waste is processed by a municipal sewage system. There is no property disclosure (PCDS) offered with this property. This home is heated by oil and annual taxes are $924. Priced at just $62,500.00 this property represents true real estate value. Call today for your private showing of this desirable PEI property. Take a step on the property ladder with this desirable property. This is a Handyman Special! This house is 75+ years old and has 3 bedrooms and 1 bathroom. The lot is a total of .565 of an acre and the area of this home is 1220 sq. ft. This home has many features including, well insulated living area and a 100 amp electrical service. The exterior is finished in vinyl and the roof is asphalt shingle. Home sits on a concrete foundation. Water is sourced from a private well and sewage waste is processed by an on-site septic field. There is no property disclosure (PCDS) offered with this property. This home is heated by oil and annual taxes are $969. This home is offered as is where is. Call today for pricing details. Call or email , your first choice in PEI real estate agents for further details and to arrange a showing. The exterior is finished in aluminum siding, vinyl and the roof is asphalt shingles, metal. Home sits on a block foundation. Water is sourced from a private well and sewage waste is processed by an on-site septic field. There is no property disclosure (PCDS) offered with this property. This home is heated by baseboard, heat pump, electric and annual taxes are $undisclosed but please contact , We will be happy to help you. This home is offered as is where is. As this home is offered without PCDS, buyers should undertake their own home inspection. Call today for pricing details. Call or email , your first choice in PEI real estate agents for further details and to arrange a showing. Call today and you could be living here soon. Smaller homes like this are excellent rental investments. This home is absolutely private. This house is 74 years old and has 2 bedrooms and 1 bathroom. The lot is a total of .50 of an acre and the area of this home is 1008 sq. ft. If you want most of the work done already have a look at this home. This home has many features including, new windows and an updated and renovated kitchen. The exterior is finished in wood and the roof is asphalt shingle. Home sits on a concrete foundation. Water is sourced from a private well and sewage waste is processed by an on-site septic field. There is no property disclosure (PCDS) offered with this property. This home is heated by oil and annual taxes are $770. Realistically priced at $79,999.00. Hurry this one won't keep. Call today and view this excellent PEI real estate listing. This won't last long! Potential to be rented for additional income. A real mortgage helper. Location, Location, Location - in and around or only a short drive from Summerside. Located within easy reach of all major amenities. This is a summer escape that will keep you coming back year after year. Property offers mature treed, parklike setting. This house is 96 years old and has 3 bedrooms and 3 bathrooms (and may include partial bathrooms). The lot is a total of .028 of an acre and the area of this home is 1923 sq. ft. Renos make this a solid real estate purchase. This home features a designated laundry area. The exterior is finished in an alternate building material and the roof is asphalt shingles. This home sits on a foundation that has not been fully defined, please consult the listing realtor for further information. Water is sourced from a non-conventional source or there is currently no available source of water for this property. Please consult the realtor, , We will be pleased to supply more details and sewage waste is processed by an undisclosed or unknown system or may be disconnected; contact to learn more. There is no property disclosure (PCDS) offered with this property. This home is heated by an alternate form of heating not specified in the listing agreement (contact for further information) and annual taxes are $1653. All measurements are approximate and purchaser should verify. Move right in at only $89,500.00. Hurry this one won't keep. Call today and view this excellent PEI real estate listing. Do not Miss this One! This house is 30+ years old and has 2+ bedrooms and 1 bathroom. The lot is a total of 2.3 acres and the area of this home is 1024 sq. ft. This home has seen many updates and renovations. This home features a deck for those warm summer evenings. The exterior is finished in wodd, vinyl and the roof is asphalt shingle. Home sits on a concrete foundation. Water is sourced from a private well and sewage waste is processed by an on-site septic field. There is no property disclosure (PCDS) offered with this property. This home is heated by oil, wood and annual taxes are $684. You can own this home for only $89,900.00. Let , your PEI real estate agent find the right home for you. Call today to view this property. This could be your new family home. Warm water and sandy beaches make this your island getaway. If its privacy you want you will find it here. Location, Location, Location - in and around or only a short drive from Summerside. Great location - just minutes to town. Situated in a location close to many common destinations and amenities. Close to golf courses. Amazing location for the nature lover. Could be your summer home for years to come, providing enjoyment, relaxation as well as investment. Very affordable - great value! This house is 32 years old and has 1 bedroom and 1 bathroom. The lot is a total of 1.67 acres and the area of this home is 686 sq. ft. Call today and you could be living here soon. This house is 70 years old and has 2 bedrooms and 2 bathrooms (and may include partial bathrooms). The lot is a total of .4 of an acre and the area of this home is 1574 sq. ft. Don't want a project? This could be your next home. This home has many features including, garden shed, deck, plenty of storage, hardwood flooring, stand-by generator and a paved driveway. The exterior is finished in vinyl and the roof is steel. Home sits on a concrete foundation. Water is sourced from a private well and sewage waste is processed by an on-site septic field. There is no property disclosure (PCDS) offered with this property. This home is heated by baseboard, hot water, oil and annual taxes are $916. All this can be yours for only $99,900.00. Call today for your private showing of this desirable PEI property. This won't last long! Confederation Bridge visible from your windows. Close to wonderful, warm sandy beaches. This is a fine example of a Century home. This home is wheelchair accessible! Close to schools. Make an Offer! This house is of an undisclosed age (contact for more information) and has 5 bedrooms and 2 bathrooms (and may include partial bathrooms). The lot is a total of 1 acre and the area of this home is 1600 sq. ft. Upgrades abound in this impressive home. This home has many features including, fireplace, hardwood flooring and new vinyl siding and/or windows. The exterior is finished in wood and the roof is asphalt. Home sits on a concrete foundation. Water is sourced from a private well and sewage waste is processed by an on-site septic field. There is no property disclosure (PCDS) offered with this property. This home is heated by oil and annual taxes are $998. Move right in at only $118,000.00. Hurry this one won't keep. Call today and view this excellent PEI real estate listing. It is all here. Wake up to inspiring waterviews! Confederation Bridge visible from your windows. Make an Offer! This house is 63 years old and has 2 bedrooms and 2 bathrooms (and may include partial bathrooms). The lot is a total of .2 of an acre and the area of this home is 1200 sq. ft. Renos make this a solid real estate purchase. This home has many features including, garden shed, deck, walk-in closet, laundry area, hardwood flooring, a newly renovated bathroom, updated and renovated kitchen and newly painted. The exterior is finished in wood shingles and the roof is metal. Home sits on a concrete foundation. Water is sourced from a municipal supply and sewage waste is processed by a municipal sewage system. There is no property disclosure (PCDS) offered with this property. This home is heated by baseboard, stove, electric, wood and annual taxes are $947. Realistically priced at $119,000.00. PEI real estate offers a chance for buyers to enter the real estate market. Call to learn more about this property. Call today and you could be living here soon. Property offers mature treed, parklike setting. Very affordable - great value! This house is 71 years old and has 3 bedrooms and 1 bathroom. The lot is a total of .172 of an acre and the area of this home is 936 sq. ft. The exterior is finished in vinyl and the roof is asphalt shingle. Home sits on a concrete foundation. Water is sourced from a municipal supply and sewage waste is processed by a municipal sewage system. There is no property disclosure (PCDS) offered with this property. This home is heated by radiant and annual taxes are $1586. Move right in at only $119,900.00. When its PEI real estate call , your PEI real estate agent of choice, will be there throughout the real estate buying process to assist you. This home exceeds expectations. Superb waterviews from many of this home's windows. Absolute charmer. Historically important property. Country living in this beautiful farmhouse. Property features mature treed grounds and parkland property. You can skip the need to landscape with this mature garden. This house is of an undisclosed age (contact for more information) and has 4 bedrooms and 2 bathrooms (and may include partial bathrooms). The lot is 3+ and the area of this home is 1968 sq. ft.
Water is sourced from drilled well and sewage waste is processed by an on-site septic field. There is no property disclosure (PCDS) offered with this property. This home is heated by baseboard, furnace and annual taxes are $undisclosed but please contact , We will be happy to help you. This home is offered as is where is. You can own this home for only $120,000.00. When its PEI real estate call , your PEI real estate agent of choice, will be there throughout the real estate buying process to assist you. Have a look here - great living awaits. Very private location. Make an Offer! This house is 38 years old and has 3 bedrooms and 1 bathroom. The lot is a total of 1.29 acres and the area of this home is 1456 sq. ft. This home has many features including, garden shed, garage, laundry area and a finished basement. The exterior is finished in vinyl and the roof is asphalt shingles. Home sits on a concrete foundation. Water is sourced from a private well and sewage waste is processed by an on-site septic field. There is no property disclosure (PCDS) offered with this property. This home is heated by forced air, oil, wood and annual taxes are $1100. This home is offered as is where is. Schedule A must be attached to all offers. All this can be yours for only $125,000.00. Hurry this one won't keep. Call today and view this excellent PEI real estate listing. Take a step on the property ladder with this desirable property. Features the popular open concept layout The water is only a short distance away from this much sought after property. Location, Location, Location - in and around or only a short drive from Summerside. Close to golf courses. Enjoy the country lifestyle here. This is a summer escape that will keep you coming back year after year. This house is 15 years old and has 3 bedrooms and 1 bathroom. The lot is a total of 2 acres and the area of this home is 1024 sq. ft. This home has many features including, garage and deck. The exterior is finished in vinyl and the roof is asphalt shingles. Home sits on a block foundation. Water is sourced from drilled well and sewage waste is processed by an on-site septic field. There is no property disclosure (PCDS) offered with this property. This home is heated by baseboard, electric and annual taxes are $2019. All measurements are approximate and purchaser should verify. Realistically priced at $127,500.00. Call or email , your first choice in PEI real estate agents for further details and to arrange a showing. This won't last long! There is unbelievable potential here! Warm water and sandy beaches make this your island getaway. This home is absolutely private. Close to golf courses. Enjoy the country lifestyle here. Property features mature treed grounds and parkland property. Close to schools. This house is 155 years old and has 5 bedrooms and 3 bathrooms (and may include partial bathrooms). The lot is a total of 0.56 of an acre and the area of this home is 2898 sq. ft. Renos make this a solid real estate purchase. This home has many features including, garage, workshop, plenty of storage, laundry area, hardwood flooring and a paved driveway. The exterior is finished in wood siding and the roof is asphalt shingles. Home sits on a block, concrete foundation. Water is sourced from a private well and sewage waste is processed by an on-site septic field. There is no property disclosure (PCDS) offered with this property. This home is heated by forced air, furnace, oil, wood and annual taxes are $1109. You can own this home for only $133,900.00. Call or email , your first choice in PEI real estate agents for further details and to arrange a showing. This won't last long! Summer life on the water. Easy to reach beaches make this a desirable property. Situated on a dead-end street. Enjoy this quiet location. Home has great charm and character. Close to golf courses. Property features mature treed grounds and parkland property. Close to schools. Priced to Sell! This house is 70 years old and has 3 bedrooms and 2 bathrooms (and may include partial bathrooms). The lot is a total of 0.18 of an acre and the area of this home is 1823 sq. ft. If you want most of the work done already have a look at this home. This home has many features including, garage, fireplace and a heat pump which reduces heating costs. The exterior is finished in vinyl and the roof is asphalt shingles. Home sits on a concrete foundation. Water is sourced from a private well and sewage waste is processed by a municipal sewage system. There is no property disclosure (PCDS) offered with this property. This home is heated by fireplace, forced air furnace, heat pump and annual taxes are $1468. Realistically priced at $135,000.00. Contact , your first choice in PEI real estate agents to view this home and for assistance in purchasing property on PEI. Look no further! Home has great charm and character. Make an Offer! This house is 139 years old and has 4 bedrooms and 2 bathrooms (and may include partial bathrooms). The lot is a total of .158 of an acre and the area of this home is 1430 sq. ft. This home has many features including, new oil tank, a new roof, updated and renovated kitchen and a heat pump which reduces heating costs. Water is sourced from a municipal supply and sewage waste is processed by a municipal sewage system. There is no property disclosure (PCDS) offered with this property. This home is heated by oil and annual taxes are $1652. You can own this home for only $139,900.00. Hurry this one won't keep. Call today and view this excellent PEI real estate listing. You will not be disappointed. Property features mature treed grounds and parkland property. This house is 148 years old and has 3 bedrooms and 2 bathrooms (and may include partial bathrooms). The lot is a total of 1.16 acres and the area of this home is 1800 sq. ft. Renos make this a solid real estate purchase. This home has many features including, outbuilding, laundry area and hardwood flooring, a popular alternative to carpet. The exterior is finished in wood siding and the roof is asphalt shingles. Home sits on a concrete foundation. Water is sourced from a private well and sewage waste is processed by an on-site septic field. There is no property disclosure (PCDS) offered with this property. This home is heated by forced air, geo thermal, heat pump and annual taxes are $undisclosed but please contact , We will be happy to help you. Realistically priced at $139,900.00. Contact , your first choice in PEI real estate agents to view this home and for assistance in purchasing property on PEI. This home exceeds expectations. Enjoy sandy PEI beaches and waterfront within easy reach of this property. This house is 32 years old and has 2 bedrooms and 1 bathroom. The lot is a total of .42 of an acre and the area of this home is 768 sq. ft. The exterior is finished in wood siding and the roof is asphalt shingles. This home sits on a pier or post foundation or other temporary type of foundation. If you have any questions regarding the foundations of this home please contact the listing realtor. Water is sourced from drilled well and sewage waste is processed by an on-site septic field. There is no property disclosure (PCDS) offered with this property. This home is heated by baseboard, radiant, electric and annual taxes are $undisclosed but please contact , We will be happy to help you. Priced at just $142,500.00 this property represents true real estate value. PEI real estate offers a chance for buyers to enter the real estate market. Call to learn more about this property. Call today and you could be living here soon. Superb waterviews from many of this home's windows. Location, Location, Location - in and around or only a short drive from Summerside. Within walking distance of all major amenities. You can watch the sunsets as you relax after a day. This is country living at its best. Could be your summer home for years to come, providing enjoyment, relaxation as well as investment. This house is 109 years old and has 4 bedrooms and 1 bathroom. The lot is a total of 0.43 of an acre and the area of this home is 1848 sq. ft. This home has many features including, deck, laundry area, hardwood flooring, a kitchen pantry and a porch. The exterior is finished in vinyl and the roof is asphalt shingles. Home sits on a concrete foundation. Water is sourced from a private well and sewage waste is processed by an on-site septic field. There is no property disclosure (PCDS) offered with this property. This home is heated by baseboard, hot water, oil and annual taxes are $undisclosed but please contact , We will be happy to help you. All measurements are approximate and purchaser should verify. Move right in at only $142,900.00. PEI real estate offers a chance for buyers to enter the real estate market. Call to learn more about this property. This could be your new family home. Enjoy peace of mind with this newly constructed home. This property has potential as an income producer. Great waterviews from this property. Enjoy sandy PEI beaches and waterfront within easy reach of this property. Very private property. Location, Location, Location - in and around or only a short drive from Summerside. Home has great charm and character. Close to golf courses. Could be your summer home for years to come, providing enjoyment, relaxation as well as investment. You can skip the need to landscape with this mature garden. This house is 65 years old and has 4 bedrooms and 2 bathrooms (and may include partial bathrooms). The lot is a total of 4.1 acres and the area of this home is 1495 sq. ft. This home has many features including, eat-in kitchen and a porch. This could be your new family home. Features the popular open concept layout Location, Location, Location - in and around or only a short drive from Summerside. Located within easy reach of all major amenities. Close to golf courses. Could be your summer home for years to come, providing enjoyment, relaxation as well as investment. Property features mature treed grounds and parkland property. Close to schools. This house is 76 years old and has 3 bedrooms and 1 bathroom. The lot is a total of 0.092 of an acre and the area of this home is 812 sq. ft. Upgrades abound in this impressive home. This home has many features including, garage, hardwood flooring, a newly renovated bathroom, heat pump and a paved driveway. The exterior is finished in vinyl and the roof is asphalt shingles. Home sits on a concrete foundation. Water is sourced from a municipal supply and sewage waste is processed by a municipal sewage system. There is no property disclosure (PCDS) offered with this property. This home is heated by furnace, heat pump and annual taxes are $1268. This home is offered as is where is. As this home is offered without PCDS, buyers should undertake their own home inspection.All measurements are approximate and purchaser should verify. Call today for pricing details. Let , your PEI real estate agent find the right home for you. Call today to view this property. You will not be disappointed. Very private property. Great location - just minutes to town. Enjoy this quiet location. Well maintained home. This house is of an undisclosed age (contact for more information) and has 3 bedrooms and 5 bathrooms (and may include partial bathrooms). The lot is a total of 14.25 acres and the area of this home is 1488 sq. ft. Upgrades abound in this impressive home. This home has many features including, garage, plenty of storage, laundry area, hardwood flooring and a paved driveway. The exterior is finished in vinyl and the roof is asphalt shingle. Home sits on a concrete, block foundation. Water is sourced from a private well and sewage waste is processed by an on-site septic field. There is no property disclosure (PCDS) offered with this property. This home is heated by oil, wood and annual taxes are $1430. This home is offered as is where is. Move right in at only $154,900.00. Call today for your private showing of this desirable PEI property. This could be your new family home. Close to beaches with water temperatures rivalling the Carolina's in summer. If its privacy you want you will find it here. A Golf Paradise. Property offers mature treed, parklike setting. This house is 108 years old and has 4 bedrooms and 2 bathrooms (and may include partial bathrooms). The lot is a total of 1 acre and the area of this home is 1926 sq. ft. A solid home featuring many upgrades and updates. This home has many features including, new vinyl siding and/or windows and newly painted. The exterior is finished in wood shingles and the roof is asphalt shingles. Home sits on a stone foundation. Water is sourced from a private well and sewage waste is processed by an on-site septic field. There is no property disclosure (PCDS) offered with this property. This home is heated by oil and annual taxes are $887. Move right in at only $159,000.00. Contact , your first choice in PEI real estate agents to view this home and for assistance in purchasing property on PEI. This could be your new family home. This is a fine example of a Century home. Move in condition - just bring your furniture. This house is 184 years old and has 2 bedrooms and 2 bathrooms (and may include partial bathrooms). The lot is a total of 2.46 acres and the area of this home is 2.46 sq. ft. Move right in - this home has been well renovated. This home has many features including, garden shed, deck, laundry area, fireplace, hardwood flooring, master bedroom ensuite bathroom, patio doors to outside area, well insulated living area and a paved driveway. Water is sourced from drilled well and sewage waste is processed by an on-site septic field. There is no property disclosure (PCDS) offered with this property. This home is heated by baseboard, fireplace, electric, propane and annual taxes are $680. Priced at just $159,000.00 this property represents true real estate value. When its PEI real estate call , your PEI real estate agent of choice, will be there throughout the real estate buying process to assist you. Look no further! Warm water and sandy beaches make this your island getaway. Nice little pond on property. This house is 75 years old and has 2 bedrooms and 1 bathroom. The lot is a total of .65 of an acre and the area of this home is 1010 sq. ft. Absolutely charming and ready to go this home has been well updated. This home has many features including, garage and laundry area. The exterior is finished in vinyl and the roof is asphalt shingles. Home sits on a concrete foundation. Water is sourced from a private well and sewage waste is processed by an on-site septic field. There is no property disclosure (PCDS) offered with this property. This home is heated by forced air, oil, wood and annual taxes are $undisclosed but please contact , We will be happy to help you. 24 hours notice required to show this home. Move right in at only $159,000.00. When its PEI real estate call , your PEI real estate agent of choice, will be there throughout the real estate buying process to assist you. You will not be disappointed. Close to beaches with water temperatures rivalling the Carolina's in summer. A Golf Paradise. Could be your summer home for years to come, providing enjoyment, relaxation as well as investment. This house is 22 years old and has 2, bedrooms and 1 bathroom. The lot is a total of .77 of an acre and the area of this home is 624 sq. ft. This home features an outdoor shed for garden tools etc. The exterior is finished in vinyl and the roof is asphalt shingles. This home sits on a pier or post foundation or other temporary type of foundation. If you have any questions regarding the foundations of this home please contact the listing realtor. Water is sourced from shared and sewage waste is processed by an on-site septic field. There is no property disclosure (PCDS) offered with this property. This home is heated by baseboard and annual taxes are $1395. Realistically priced at $159,900.00. Hurry this one won't keep. Call today and view this excellent PEI real estate listing. Call today and you could be living here soon. Features the popular open concept layout Close to beaches with water temperatures rivalling the Carolina's in summer. Location, Location, Location - in and around or only a short drive from Summerside. Situated in a location close to many common destinations and amenities. Close to golf courses. Relax in the evening with sunsets views from your windows. Enjoy the country lifestyle here. This is a summer escape that will keep you coming back year after year. Property features mature treed grounds and parkland property. Close to schools. This house is 10 years old and has 4 bedrooms and 2 bathrooms (and may include partial bathrooms). The lot is a total of .82 of an acre and the area of this home is 1716 sq. ft. This home has many features including, garden shed and deck. The exterior is finished in vinyl and the roof is asphalt shingles. Home sits on a concrete foundation. Water is sourced from drilled well and sewage waste is processed by an on-site septic field. There is no property disclosure (PCDS) offered with this property. This home is heated by baseboard, furnace, hot water, in floor and annual taxes are $2148. All measurements are approximate and purchaser should verify. Call today for pricing details. Call or email , your first choice in PEI real estate agents for further details and to arrange a showing. You will not be disappointed. Potential to be rented for additional income. A real mortgage helper. Location, Location, Location - in and around or only a short drive from Summerside. Historic, Century home. Could be your summer home for years to come, providing enjoyment, relaxation as well as investment. This house is 129 years old and has 5 bedrooms and 3 bathrooms (and may include partial bathrooms). The lot is a total of .24 of an acre and the area of this home is 2028 sq. ft. Move right in - this home has been well renovated. This home has many features including, garden shed, deck, plenty of storage, fireplace, hardwood flooring and a paved driveway. The exterior is finished in vinyl and the roof is asphalt shingles. Home sits on a concrete foundation. Water is sourced from a municipal supply and sewage waste is processed by a municipal sewage system. There is no property disclosure (PCDS) offered with this property. This home is heated by oil, baseboard, radiator and annual taxes are $2503. Call today for pricing details. Call today for your private showing of this desirable PEI property. Call today and you could be living here soon. Location, Location, Location - in and around or only a short drive from Summerside. Absolute charmer. Could be your summer home for years to come, providing enjoyment, relaxation as well as investment. This house is 105 years old and has 4 bedrooms and 2 bathrooms (and may include partial bathrooms). The lot is a total of 0.14 of an acre and the area of this home is 1440 sq. ft. This home has many features including, garage, walk-in closet and a fireplace for those cold winter nights. The exterior is finished in wood shingles and the roof is asphalt shingles. Home sits on a concrete foundation. Water is sourced from a municipal supply and sewage waste is processed by a municipal sewage system. There is no property disclosure (PCDS) offered with this property. This home is heated by radiant hot water and annual taxes are $1691. All this can be yours for only $169,900.00. Call today for your private showing of this desirable PEI property. LIVE HERE - BUY THIS! Close to beaches with water temperatures rivalling the Carolina's in summer. Location, Location, Location - in and around or only a short drive from Summerside. Within walking distance of all major amenities. This is country living at its best. Could be your summer home for years to come, providing enjoyment, relaxation as well as investment. This lot is and the area of this home is 1438 sq. ft. Move right in - this home has been well renovated. This home features a deck for those warm summer evenings. The exterior is finished in vinyl and the roof is asphalt shingles. Home sits on a concrete foundation. Water is sourced from a private well and sewage waste is processed by an on-site septic field. There is no property disclosure (PCDS) offered with this property. This home is heated by forced air, furnace, oil, wood and annual taxes are $undisclosed but please contact , We will be happy to help you. Realistically priced at $179,900.00. Call today for your private showing of this desirable PEI property. This could be your new family home. Property features mature treed grounds and parkland property. This house is 59 years old and has 3 bedrooms and 2 bathrooms (and may include partial bathrooms). The lot is a total of .46 of an acre and the area of this home is currently unavailable. Please ask for current specifications. This home has many features including, barn, garden shed, garage and workshop. The exterior is finished in vinyl and the roof is asphalt shingles. Home sits on a block foundation. Water is sourced from a municipal supply and sewage waste is processed by a municipal sewage system. There is no property disclosure (PCDS) offered with this property. This home is heated by baseboard, oil and annual taxes are $2644. You can own this home for only $185,000.00. 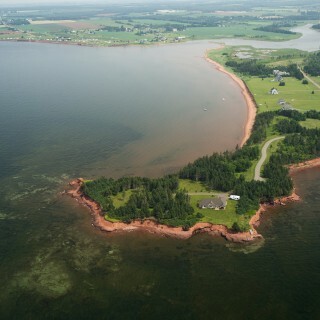 Contact , your first choice in PEI real estate agents to view this home and for assistance in purchasing property on PEI. This could be your new family home. Open concept layout. Customize this home to suit your tastes and needs. This home is absolutely private. Great location - just minutes to town. This house is 47 years old and has 2 bedrooms and 1 bathroom. The lot is a total of .5 of an acre and the area of this home is 1908 sq. ft. This home has many features including, garden shed, garage, fireplace and a heat pump which reduces heating costs. The exterior is finished in vinyl and the roof is asphalt shingles. Home sits on a concrete foundation. Water is sourced from community and sewage waste is processed by a municipal sewage system. There is no property disclosure (PCDS) offered with this property. This home is heated by baseboard, heat pump, electric and annual taxes are $1200. Realistically priced at $189,000.00. PEI real estate offers a chance for buyers to enter the real estate market. Call to learn more about this property. This could be your new family home. Home has great charm and character. This house is of an undisclosed age (contact for more information) and has 3 bedrooms and 2 bathrooms (and may include partial bathrooms). The lot is a total of .22 of an acre and the area of this home is 1638 sq. ft. Upgrades abound in this impressive home. This home has many features including, garden shed, deck, new windows, a newly renovated bathroom and an updated and renovated kitchen. The exterior is finished in cedar shingles and the roof is asphalt shingles. Home sits on a concrete foundation. Water is sourced from a municipal supply and sewage waste is processed by a municipal sewage system. There is no property disclosure (PCDS) offered with this property. This home is heated by radiant and annual taxes are $1556. All this can be yours for only $196,500.00. Hurry this one won't keep. Call today and view this excellent PEI real estate listing. You will not be disappointed. No Worries! Here is a brand new home. Just built and ready to move into. Features the popular open concept layout Very private property. Great location - just minutes to town. Enjoy this quiet location. Well maintained home. This house is 37 years old and has 3 bedrooms and 1 bathroom. The lot is a total of .81 of an acre and the area of this home is 1440 sq. ft. Excellent for the less than handy or simply too busy to renovate. This home has many features including, garage, deck, swimming pool and a new roof. The exterior is finished in vinyl and the roof is asphalt shingle. Home sits on a slab foundation. Water is sourced from a private well and sewage waste is processed by an on-site septic field. There is no property disclosure (PCDS) offered with this property. This home is heated by oil, wood and annual taxes are $1853. Priced at just $219,900.00 this property represents true real estate value. Hurry this one won't keep. Call today and view this excellent PEI real estate listing. It is all here. No Worries! Here is a brand new home. Just built and ready to move into. Superb waterviews from many of this home's windows. Confederation Bridge visible from your windows. Location, Location, Location - in and around or only a short drive from Summerside. Location, Location, Location - in and around or only a short drive from Charlottetown. This is a fine example of a Century home. A Golf Paradise. Could be your summer home for years to come, providing enjoyment, relaxation as well as investment. Property offers mature treed, parklike setting. A mature garden means no extra expense or hassle. This house is 152 years old and has 3 bedrooms and 2 bathrooms (and may include partial bathrooms). The lot is a total of 1.53 acres and the area of this home is 1650 sq. ft. If you want most of the work done already have a look at this home. This home has many features including, garden shed, plenty of storage and laundry area. The exterior is finished in wood and the roof is asphalt shingle. Home sits on a concrete foundation. Water is sourced from a private well and sewage waste is processed by an on-site septic field. There is no property disclosure (PCDS) offered with this property. This home is heated by propane and annual taxes are $1363. Call this property home at just $229,000.00. Call today for your private showing of this desirable PEI property. This could be your new family home. Suitable for many home-based businesses. This house is of an undisclosed age (contact for more information) and has 3 bedrooms and 1 bathroom. The lot is a total of .25 of an acre and the area of this home is 2264 sq. ft. A solid home featuring many upgrades and updates. This home features an apartment that can provide a great second income and help with mortgage payments. The exterior is finished in wood shingles, vinyl and the roof is asphalt shingles. Home sits on a concrete foundation. Water is sourced from drilled well and sewage waste is processed by an on-site septic field. There is no property disclosure (PCDS) offered with this property. This home is heated by forced air, furnace, heat pump, electric and annual taxes are $undisclosed but please contact , We will be happy to help you. You can own this home for only $229,900.00. Hurry this one won't keep. Call today and view this excellent PEI real estate listing. Take a step on the property ladder with this desirable property. Open concept layout. The possibilities are endless to make this house your own! Potential to be rented for additional income. A real mortgage helper. Superb waterviews from many of this home's windows. Close to beaches with water temperatures rivalling the Carolina's in summer. Location, Location, Location - in and around or only a short drive from Charlottetown. Close proximity to everything for easy lifestyle. A Golf Paradise. Enjoy the country lifestyle here. Well maintained home. Warm, cozy house to come home to. Property offers mature treed, parklike setting. Make an Offer! This house is 24 years old and has 2 bedrooms and 1 bathroom. The lot is a total of .52 of an acre and the area of this home is 768 sq. ft. If you want most of the work done already have a look at this home. This home has many features including, outbuilding, deck, plenty of storage and new flooring. The exterior is finished in vinyl and the roof is asphalt shingles. This home sits on a foundation that has not been fully defined, please consult the listing realtor for further information. Water is sourced from drilled well and sewage waste is processed by an on-site septic field. There is no property disclosure (PCDS) offered with this property. This home is heated by baseboard and annual taxes are $1742. Call this property home at just $234,000.00. Call or email , your first choice in PEI real estate agents for further details and to arrange a showing. Take a step on the property ladder with this desirable property. Are you looking for a FIXER-UPPER? Enjoy sandy PEI beaches and waterfront within easy reach of this property. Close to golf courses. The lot here is wooded. This house is 30 years old and has 2 bedrooms and 1 bathroom. The lot is a total of 1.26 acres and the area of this home is 1156 sq. ft. This home has seen many updates and renovations. This home has many features including, garden shed, garage, workshop, walk-in closet and a heat pump which reduces heating costs. The exterior is finished in wood and the roof is asphalt shingle. Home sits on a concrete foundation. Water is sourced from a private well and sewage waste is processed by an on-site septic field. There is no property disclosure (PCDS) offered with this property. This home is heated by electric, wood and annual taxes are $1245. Realistically priced at $239,000.00. Call or email , your first choice in PEI real estate agents for further details and to arrange a showing. Look no further! Very private location. Location, Location, Location - in and around or only a short drive from Summerside. Country living in this beautiful farmhouse. This is country living at its best. Well maintained home. You may be able to start or move your home based business here. This is a summer escape that will keep you coming back year after year. This house is 80 years old and has 3 bedrooms and 1 bathroom. The lot is a total of 1.7 acres and the area of this home is 1914 sq. ft. This home has many features including, garage, deck, eat-in kitchen, heat pump and a paved driveway. The exterior is finished in wood shingles and the roof is asphalt shingles. Home sits on a concrete foundation. Water is sourced from drilled well and sewage waste is processed by an on-site septic field. There is no property disclosure (PCDS) offered with this property. This home is heated by forced air, furnace, oil, stove and annual taxes are $1124. 24 hours notice required to show this home. Call today for pricing details. Hurry this one won't keep. Call today and view this excellent PEI real estate listing. This won't last long! No Worries! Here is a brand new home. Just built and ready to move into. Features the popular open concept layout Customize this home to suit your tastes and needs. Summer life on the water. Easy to reach beaches make this a desirable property. Very private location. Relax in the evening with sunsets views from your windows. Property offers mature treed, parklike setting. You can skip the need to landscape with this mature garden. Make an Offer! This house is 13 years old and has 2 bedrooms and 2 bathrooms (and may include partial bathrooms). The lot is a total of 0.33 of an acre and the area of this home is 950 sq. ft. This home has many features including, air conditioning and a heat pump which reduces heating costs. The exterior is finished in vinyl and the roof is asphalt shingles. Home sits on a concrete foundation. Water is sourced from community and sewage waste is processed by a municipal sewage system. There is no property disclosure (PCDS) offered with this property. This home is heated by baseboard, heat pump, electric and annual taxes are $1559. 24 hours notice required to show this home. Move right in at only $249,900.00. Call today for your private showing of this desirable PEI property. Have a look here - great living awaits. Very private location. Location, Location, Location - in and around or only a short drive from Summerside. Within walking distance of all major amenities. This is a summer escape that will keep you coming back year after year. Make an Offer! This house is of an undisclosed age (contact for more information) and has 6 bedrooms and 3 bathrooms (and may include partial bathrooms). The lot is a total of .5 of an acre and the area of this home is 3618 sq. ft. A solid home featuring many upgrades and updates. This home has many features including, garden shed, deck, walk-in closet, plenty of storage, laundry area, master bedroom ensuite bathroom, new flooring and a heat pump which reduces heating costs. The exterior is finished in vinyl and the roof is asphalt shingles. Home sits on a block, concrete foundation. Water is sourced from a municipal supply and sewage waste is processed by a municipal sewage system. There is no property disclosure (PCDS) offered with this property. This home is heated by baseboard, fireplace, heat pump, hot wat and annual taxes are $3679. You can own this home for only $254,000.00. Call today for your private showing of this desirable PEI property. This could be your new family home. Location, Location, Location - in and around or only a short drive from Charlottetown. Great location - just minutes to town. Close to schools. Make an Offer! This house is 42 years old and has 3 bedrooms and 2 bathrooms (and may include partial bathrooms). The lot is a total of .18 of an acre and the area of this home is 1416 sq. ft. This home has many features including, garden shed and a new roof. The exterior is finished in aluminum and the roof is metal. Home sits on a concrete foundation. Water is sourced from a municipal supply and sewage waste is processed by a municipal sewage system. There is no property disclosure (PCDS) offered with this property. This home is heated by oil and annual taxes are $2165. You can own this home for only $259,900.00. Call today for your private showing of this desirable PEI property. Call today and you could be living here soon. This home could use some work. Very private property. Enjoy this quiet location. Situated in a location close to many common destinations and amenities. Well maintained home. Property offers mature treed, parklike setting. You can skip the need to landscape with this mature garden. This house is 30 years old and has 4 bedrooms and 2 bathrooms (and may include partial bathrooms). The lot is a total of 0.31 of an acre and the area of this home is 2445 sq. ft. This home has many features including, deck, plenty of storage and laundry area. The exterior is finished in vinyl and the roof is asphalt shingles. Home sits on a concrete foundation. Water is sourced from a municipal supply and sewage waste is processed by a municipal sewage system. There is no property disclosure (PCDS) offered with this property. This home is heated by baseboard, hot water, oil and annual taxes are $3033. Realistically priced at $268,900.00. Let , your PEI real estate agent find the right home for you. Call today to view this property. Take a step on the property ladder with this desirable property. Location, Location, Location - in and around or only a short drive from Summerside. This is a summer escape that will keep you coming back year after year. This house is 100 years old and has 3 bedrooms and 3 bathrooms (and may include partial bathrooms). The lot is a total of 1.6 acres and the area of this home is 2100 sq. ft. This home has seen many updates and renovations. This home has many features including, barn, garage, workshop, deck, laundry area and an updated and renovated kitchen. Water is sourced from drilled well and sewage waste is processed by an on-site septic field. There is no property disclosure (PCDS) offered with this property. This home is heated by baseboard, furnace, oil and annual taxes are $undisclosed but please contact , We will be happy to help you. Realistically priced at $269,900.00. Hurry this one won't keep. Call today and view this excellent PEI real estate listing. This could be your new family home. Features the popular open concept layout This home is absolutely private. This house is 25 years old and has 4 bedrooms and 2 bathrooms (and may include partial bathrooms). The lot is a total of .58 of an acre and the area of this home is 1736 sq. ft. Excellent for the less than handy or simply too busy to renovate. This home has many features including, garage, new windows and a paved driveway. The exterior is finished in vinyl and the roof is asphalt shingle. Home sits on a concrete foundation. Water is sourced from drilled well and sewage waste is processed by an on-site septic field. There is no property disclosure (PCDS) offered with this property. This home is heated by oil, wood and annual taxes are $2377. You can own this home for only $289,000.00. Contact , your first choice in PEI real estate agents to view this home and for assistance in purchasing property on PEI. Do not Miss this One! Excellent views of Confederation Bridge. When privacy is what you want - look here. Location, Location, Location - in and around or only a short drive from Summerside. Location, Location, Location - in and around or only a short drive from Charlottetown. Great location - just minutes to town. Close proximity to everything for easy lifestyle. Could be your summer home for years to come, providing enjoyment, relaxation as well as investment. Nice little pond on property. A mature garden means no extra expense or hassle. Make an Offer! This house is 35 years old and has 3 bedrooms and 10 bathrooms (and may include partial bathrooms). The lot is a total of 1.14 acres and the area of this home is 3328 sq. ft. This home features new windows. The exterior is finished in brick and the roof is asphalt shingle. Home sits on a concrete foundation. Water is sourced from a municipal supply and sewage waste is processed by a municipal sewage system. There is no property disclosure (PCDS) offered with this property. This home is heated by oil, wood and annual taxes are $3302. Call this property home at just $295,000.00. When its PEI real estate call , your PEI real estate agent of choice, will be there throughout the real estate buying process to assist you. Do not Miss this One! This home is absolutely private. Nice little pond on property. Property features mature treed grounds and parkland property. You can skip the need to landscape with this mature garden. Priced to Sell! This house is 19 years old and has 4 bedrooms and 3 bathrooms (and may include partial bathrooms). The lot is a total of .58 of an acre and the area of this home is 2830 sq. ft. If you want most of the work done already have a look at this home. This home has many features including, garden shed, garage, walk-in closet, plenty of storage, garden gazebo and newly painted. The exterior is finished in wood shingles and the roof is asphalt shingles. Home sits on a concrete foundation. Water is sourced from a private well and sewage waste is processed by an on-site septic field. There is no property disclosure (PCDS) offered with this property. This home is heated by baseboard, oil, wood and annual taxes are $2111. Priced at just $299,900.00 this property represents true real estate value. When its PEI real estate call , your PEI real estate agent of choice, will be there throughout the real estate buying process to assist you. Have a look here - great living awaits. This is a Handyman Special! This property speaks to privacy. Historic, Century home. Well maintained home. You may be able to start or move your home based business here. This house is 75 years old and has 5 bedrooms and 5 bathrooms (and may include partial bathrooms). The lot is a total of 1.78 acres and the area of this home is 2280 sq. ft. Don't want a project? This could be your next home. This home has many features including, garden shed, garage and workshop. The exterior is finished in wood shingles and the roof is asphalt shingles. Home sits on a concrete, stone foundation. Water is sourced from a municipal supply and sewage waste is processed by a municipal sewage system. There is no property disclosure (PCDS) offered with this property. This home is heated by oil and annual taxes are $1970. All this can be yours for only $319,000.00. Contact , your first choice in PEI real estate agents to view this home and for assistance in purchasing property on PEI. Take a step on the property ladder with this desirable property. Well maintained home. This house is 104 years old and has 4 bedrooms and 2 bathrooms (and may include partial bathrooms). The lot is 6+/- and the area of this home is 3188 sq. ft. This home has many features including, outbuilding, barn, garden shed, eat-in kitchen, laundry area, hardwood flooring and a kitchen pantry. The exterior is finished in vinyl, wood and the roof is asphalt shingle. Home sits on a concrete foundation. Water is sourced from a private well and sewage waste is processed by an on-site septic field. There is no property disclosure (PCDS) offered with this property. This home is heated by oil, electric, wood and annual taxes are $1967. Call this property home at just $319,000.00. Hurry this one won't keep. Call today and view this excellent PEI real estate listing. This won't last long! Enjoy peace of mind with this newly constructed home. Features the popular open concept layout This property speaks to privacy. Safer for the children on a dead end street. Location, Location, Location - in and around or only a short drive from Charlottetown. Great location - just minutes to town. Relax in the evening with sunsets views from your windows. Well kept home sure to please the decerning buyer. Nice little pond on property. Property features mature treed grounds and parkland property. A mature garden means no extra expense or hassle. Make an Offer! This house is 15 years old and has 3 bedrooms and 2 bathrooms (and may include partial bathrooms). The lot is a total of .55 of an acre and the area of this home is 1691 sq. ft. This home has many features including, garage, workshop, air conditioning and a heat pump which reduces heating costs. The exterior is finished in vinyl and the roof is metal. Home sits on a slab foundation. Water is sourced from a private well and sewage waste is processed by an on-site septic field. There is no property disclosure (PCDS) offered with this property. This home is heated by electric, propane and annual taxes are $1820. Call today for pricing details. Hurry this one won't keep. Call today and view this excellent PEI real estate listing. Take a step on the property ladder with this desirable property. No Worries! Here is a brand new home. Just built and ready to move into. Features the popular open concept layout Excellent views of Confederation Bridge. Warm water and sandy beaches make this your island getaway. Very private property. Situated in a location close to many common destinations and amenities. This summer home/location is accessible year round. You can watch the sunsets as you relax after a day. Make an Offer! This house is of an undisclosed age (contact for more information) and has 3 bedrooms and 2 bathrooms (and may include partial bathrooms). The lot is a total of 1.05 acres and the area of this home is 1280 sq. ft. This home has many features including, deck, walk-in closet, laundry area and patio doors to outside area. The exterior is finished in wood shingles and the roof is asphalt shingles . Home sits on a slab foundation. Water is sourced from drilled well and sewage waste is processed by an on-site septic field. There is no property disclosure (PCDS) offered with this property. This home is heated by baseboard, in floor, radiant and annual taxes are $undisclosed but please contact , We will be happy to help you. Call this property home at just $324,900.00. PEI real estate offers a chance for buyers to enter the real estate market. Call to learn more about this property. Take a step on the property ladder with this desirable property. Features the popular open concept layout Potential to be rented for additional income. A real mortgage helper. Confederation Bridge visible from your windows. Close to beaches with water temperatures rivalling the Carolina's in summer. If its privacy you want you will find it here. Enjoy this quiet location. Situated in a location close to many common destinations and amenities. Relax in the evening with sunsets views from your windows. This house is 31 years old and has 3 bedrooms and 2 bathrooms (and may include partial bathrooms). The lot is a total of .4 of an acre and the area of this home is 1360 sq. ft. This home has many features including, deck and a fireplace for those cold winter nights. The exterior is finished in wood siding and the roof is asphalt shingles. This home sits on a pier or post foundation or other temporary type of foundation. If you have any questions regarding the foundations of this home please contact the listing realtor. Water is sourced from community and sewage waste is processed by an on-site septic field. There is no property disclosure (PCDS) offered with this property. This home is heated by baseboard, fireplace and annual taxes are $1401. You can own this home for only $329,000.00. Call today for your private showing of this desirable PEI property. This could be your new family home. Warm water and sandy beaches make this your island getaway. When privacy is what you want - look here. Location, Location, Location - in and around or only a short drive from Summerside. Great location - just minutes to town. Within walking distance of all major amenities. This summer home/location is accessible year round. A Golf Paradise. Sure to please the nature lover in you. Could be your summer home for years to come, providing enjoyment, relaxation as well as investment. Very affordable - great value! This house is 12 years old and has 3 bedrooms and 2 bathrooms (and may include partial bathrooms). The lot is 1.42+/- and the area of this home is 1450 sq. ft. This home has many features including, deck and a whirlpool or jacuzzi tub . The exterior is finished in vinyl and the roof is asphalt shingle. This home sits on a pier or post foundation or other temporary type of foundation. If you have any questions regarding the foundations of this home please contact the listing realtor. Water is sourced from a private well and sewage waste is processed by an on-site septic field. There is no property disclosure (PCDS) offered with this property. This home is heated by electricity and annual taxes are $undisclosed but please contact , We will be happy to help you. Realistically priced at $335,000.00. Call or email , your first choice in PEI real estate agents for further details and to arrange a showing. This won't last long! Great location - just minutes to town. Enjoy this quiet location. This house is 14 years old and has 6 bedrooms and 15 bathrooms (and may include partial bathrooms). The lot is a total of 8 acres and the area of this home is 2816 sq. ft. This home has many features including, outbuilding, deck, walk-in closet, laundry area and an ensuite in master bedroom. The exterior is finished in vinyl, and the roof is asphalt. Home sits on a concrete foundation. Water is sourced from a private well and sewage waste is processed by an on-site septic field. There is no property disclosure (PCDS) offered with this property. This home is heated by oil and annual taxes are $1607. Realistically priced at $349,000.00. Let , your PEI real estate agent find the right home for you. Call today to view this property. This home exceeds expectations. Open concept layout. Great Views! Right on the riverfront. Location, Location, Location - in and around or only a short drive from Charlottetown. Within walking distance of all major amenities. Property features mature treed grounds and parkland property. Close to schools. This house is 56 years old and has 4 bedrooms and 2 bathrooms (and may include partial bathrooms). The lot is a total of .165 of an acre and the area of this home is 1875 sq. ft. Excellent for the less than handy or simply too busy to renovate. This home has many features including, garden shed, fireplace, hardwood flooring and newly painted. The exterior is finished in vinyl and the roof is asphalt shingles. Home sits on a concrete foundation. Water is sourced from a municipal supply and sewage waste is processed by a municipal sewage system. There is no property disclosure (PCDS) offered with this property. This home is heated by forced air, furnace, oil, fireplace and annual taxes are $3118. Realistically priced at $349,000.00. PEI real estate offers a chance for buyers to enter the real estate market. Call to learn more about this property. You will not be disappointed. This home has large rooms, lots of space for the family. Potential to be rented for additional income. A real mortgage helper. Warm, cozy house to come home to. Move in condition - just bring your furniture. This house is 10 years old and has 6 bedrooms and 4 bathrooms (and may include partial bathrooms). The lot is a total of .45 of an acre and the area of this home is 4620 sq. ft. Upgrades abound in this impressive home. This home has many features including, deck, fireplace and a whirlpool or jacuzzi tub . The exterior is finished in cementitious board and the roof is metal. Home sits on a concrete, slab foundation. Water is sourced from drilled well and sewage waste is processed by an on-site septic field. There is no property disclosure (PCDS) offered with this property. This home is heated by fireplace, radiant, electric, propane and annual taxes are $3607. Priced at just $349,000.00 this property represents true real estate value. Hurry this one won't keep. Call today and view this excellent PEI real estate listing. Call today and you could be living here soon. This is a Handyman Special! Close to wonderful, warm sandy beaches. This is a summer escape that will keep you coming back year after year. Nice little pond on property. Property offers mature treed, parklike setting. This house is 82 years old and has 3 bedrooms and 1 bathroom. The lot is a total of 61.02 acres and the area of this home is 1120 sq. ft. The exterior is finished in wood and the roof is asphalt shingle. Home sits on a concrete foundation. Water is sourced from a private well and sewage waste is processed by an on-site septic field. There is no property disclosure (PCDS) offered with this property. This home is heated by an alternate form of heating not specified in the listing agreement (contact for further information) and annual taxes are $3141. Move right in at only $350,000.00. Call today for your private showing of this desirable PEI property. This home exceeds expectations. No Worries! Here is a brand new home. Just built and ready to move into. Warm water and sandy beaches make this your island getaway. Very private location. Location, Location, Location - in and around or only a short drive from Charlottetown. Close to golf courses. You may be able to start or move your home based business here. Property features mature treed grounds and parkland property. This house is 24 years old and has 8 bedrooms and 6 bathrooms (and may include partial bathrooms). The lot is a total of 1.58 acres and the area of this home is 2948 sq. ft. The exterior is finished in vinyl and the roof is asphalt shingles. Home sits on a concrete foundation. Water is sourced from drilled well and sewage waste is processed by an on-site septic field. There is no property disclosure (PCDS) offered with this property. This home is heated by oil, propane, other and annual taxes are $2139. Call this property home at just $350,000.00. Call today for your private showing of this desirable PEI property. Have a look here - great living awaits. Enjoy peace of mind with this newly constructed home. Open concept layout. Are you looking for a FIXER-UPPER? This property has potential as an income producer. Superb waterviews from many of this home's windows. Summer life on the water. Easy to reach beaches make this a desirable property. Very private location. Location, Location, Location - in and around or only a short drive from Summerside. Enjoy this quiet location. This is country living at its best. Amazing location for the nature lover. Could be your summer home for years to come, providing enjoyment, relaxation as well as investment. Make an Offer! Priced to Sell! This house is 2 years old and has 3 bedrooms and 3 bathrooms (and may include partial bathrooms). The lot is a total of 1.21 acres and the area of this home is 1653 sq. ft. If you want most of the work done already have a look at this home. This home has many features including, garage, deck, laundry area, hardwood flooring, heat pump and fully well-insulated living area. The exterior is finished in vinyl and the roof is asphalt shingles. Home sits on a insulated concrete foundation. Water is sourced from drilled well and sewage waste is processed by an on-site septic field. There is no property disclosure (PCDS) offered with this property. This home is heated by heat pump, radiator and annual taxes are $2018. You can own this home for only $359,000.00. Contact , your first choice in PEI real estate agents to view this home and for assistance in purchasing property on PEI. Look no further! Enjoy peace of mind with this newly constructed home. Open concept layout. Are you looking for a FIXER-UPPER? This property has potential as an income producer. Great Views! Right on the riverfront. The water is only a short distance away from this much sought after property. If its privacy you want you will find it here. Location, Location, Location - in and around or only a short drive from Summerside. Enjoy this quiet location. This is country living at its best. Amazing location for the nature lover. This is a summer escape that will keep you coming back year after year. Make an Offer! Priced to Sell! This lot is and the area of this home is 1653 sq. ft. Don't want a project? This could be your next home. This home has many features including, garage, deck, laundry area, hardwood flooring, heat pump and fully well-insulated living area. The exterior is finished in vinyl and the roof is asphalt shingles. Home sits on a insulated concrete foundation. Water is sourced from drilled well and sewage waste is processed by an on-site septic field. There is no property disclosure (PCDS) offered with this property. This home is heated by heat pump, radiator and annual taxes are $2817. All this can be yours for only $359,000.00. Contact , your first choice in PEI real estate agents to view this home and for assistance in purchasing property on PEI. This home exceeds expectations. Property is located in a well developed subdivision. Are you looking for a FIXER-UPPER? When privacy is what you want - look here. This summer home/location is accessible year round. Close to golf courses. You may be able to start or move your home based business here. Property features mature treed grounds and parkland property. This house is 36 years old and has 2 bedrooms and 1 bathroom. The lot is a total of 10.7 acres and the area of this home is 1232 sq. ft. If you want most of the work done already have a look at this home. This home features a deck for those warm summer evenings. The exterior is finished in wood siding and the roof is asphalt shingles. This home sits on a pier or post foundation or other temporary type of foundation. If you have any questions regarding the foundations of this home please contact the listing realtor. Water is sourced from drilled well and sewage waste is processed by an on-site septic field. There is no property disclosure (PCDS) offered with this property. This home is heated by baseboard, heat pump, electric and annual taxes are $1312. Move right in at only $359,000.00. When its PEI real estate call , your PEI real estate agent of choice, will be there throughout the real estate buying process to assist you. Call today and you could be living here soon. Features the popular open concept layout Excellent views of Confederation Bridge. Close to wonderful, warm sandy beaches. If its privacy you want you will find it here. Enjoy this quiet location. This summer home/location is accessible year round. This is a summer escape that will keep you coming back year after year. Nice little pond on property. Move in condition - absolutely turnkey. Make an Offer! This house is 9 years old and has 4 bedrooms and 2 bathrooms (and may include partial bathrooms). The lot is a total of 1 acre and the area of this home is 1860 sq. ft. This home has many features including, garage, deck and walk-in closet. The exterior is finished in vinyl and the roof is asphalt shingles. Home sits on a slab foundation. Water is sourced from drilled well and sewage waste is processed by an on-site septic field. There is no property disclosure (PCDS) offered with this property. This home is heated by electricity and annual taxes are $undisclosed but please contact , We will be happy to help you. Realistically priced at $364,900.00. When its PEI real estate call , your PEI real estate agent of choice, will be there throughout the real estate buying process to assist you. Have a look here - great living awaits. Features the popular open concept layout Location, Location, Location - in and around or only a short drive from Summerside. Enjoy this quiet location. Relax in the evening with sunsets views from your windows. This is a summer escape that will keep you coming back year after year. Nice little pond on property. Home has a pellet stove making this a more cost effective home to heat. Make an Offer! This house is 10 years old and has 3 bedrooms and 2 bathrooms (and may include partial bathrooms). The lot is a total of 1.02 acres and the area of this home is 2791 sq. ft. This home has many features including, garden shed, master bedroom ensuite bathroom and a swimming pool. The exterior is finished in vinyl and the roof is asphalt shingles. Home sits on a concrete foundation. Water is sourced from drilled well and sewage waste is processed by an on-site septic field. There is no property disclosure (PCDS) offered with this property. This home is heated by in floor and annual taxes are $undisclosed but please contact , We will be happy to help you. Call today for pricing details. Let , your PEI real estate agent find the right home for you. Call today to view this property. This won't last long! Open concept layout. Great waterviews from this property. If its privacy you want you will find it here. Location, Location, Location - in and around or only a short drive from Summerside. Relax in the evening with sunsets views from your windows. Could be your summer home for years to come, providing enjoyment, relaxation as well as investment. Property features mature treed grounds and parkland property. This house is 7 years old and has 5 bedrooms and 3 bathrooms (and may include partial bathrooms). The lot is a total of .36 of an acre and the area of this home is 2444 sq. ft. This home has many features including, garage, deck, walk-in closet, laundry area, master bedroom ensuite bathroom, a kitchen pantry and patio doors to outside area. The exterior is finished in masonite/colour lock, vinyl and the roof is asphalt shingles. Home sits on a slab foundation. Water is sourced from a private well and sewage waste is processed by an on-site septic field. There is no property disclosure (PCDS) offered with this property. This home is heated by baseboard, furnace, radiant and annual taxes are $3298. Priced at just $385,000.00 this property represents true real estate value. PEI real estate offers a chance for buyers to enter the real estate market. Call to learn more about this property. This could be your new family home. You could call this amazing LOG CABIN your next home or summer getaway . Summer life on the water. Easy to reach beaches make this a desirable property. This summer home/location is accessible year round. Close to golf courses. Suitable for many home-based businesses. Could be your summer home for years to come, providing enjoyment, relaxation as well as investment. This house is 37 years old and has 5 bedrooms and 3 bathrooms (and may include partial bathrooms). The lot is a total of 1.29 acres and the area of this home is 5,049 sq. ft. This home has many features including, deck and inlaw suite or small rental. Excellent mortgage helper. Take a step on the property ladder with this desirable property. This is an EXECUTIVE HOME offering exceptional quality and appointments! The water is only a short distance away from this much sought after property. This summer home/location is accessible year round. This house is 29 years old and has 4 bedrooms and 2 bathrooms (and may include partial bathrooms). The lot is a total of .52 of an acre and the area of this home is 2700 sq. ft. This home has many features including, deck, solarium and an updated and renovated kitchen. The exterior is finished in vinyl and the roof is asphalt shingles. Home sits on a concrete foundation. Water is sourced from drilled well and sewage waste is processed by an on-site septic field. There is no property disclosure (PCDS) offered with this property. This home is heated by baseboard, infloor, oil and annual taxes are $1725. Call this property home at just $395,000.00. Call or email , your first choice in PEI real estate agents for further details and to arrange a showing. Look no further! Features the popular open concept layout You may be able to start or move your home based business here. This house is 41 years old and has 2 bedrooms and 1 bathroom. The lot is a total of 2 acres and the area of this home is 1796 sq. ft. This home has many features including, garden shed, garage and plenty of storage. The exterior is finished in wood shingles and the roof is steel. Home sits on a concrete foundation. Water is sourced from a private well and sewage waste is processed by an on-site septic field. There is no property disclosure (PCDS) offered with this property. This home is heated by wood, baseboard, in floor and annual taxes are $1516. Call this property home at just $399,900.00. Hurry this one won't keep. Call today and view this excellent PEI real estate listing. Have a look here - great living awaits. Open concept layout. Are you looking for a FIXER-UPPER? Summer life on the water. Easy to reach beaches make this a desirable property. Location, Location, Location - in and around or only a short drive from Summerside. Great location - just minutes to town. A Golf Paradise. This is a summer escape that will keep you coming back year after year. Property offers mature treed, parklike setting. A mature garden means no extra expense or hassle. Close to schools. Make an Offer! This house is 15 years old and has 4 bedrooms and 3 bathrooms (and may include partial bathrooms). The lot is a total of 0.17 of an acre and the area of this home is 2792 sq. ft. This home has many features including, garden shed, garage, deck, plenty of storage, laundry area, fireplace, hardwood flooring and an ensuite in master bedroom. The exterior is finished in wood shingles and the roof is asphalt shingles. Home sits on a concrete foundation. Water is sourced from a municipal supply and sewage waste is processed by a municipal sewage system. There is no property disclosure (PCDS) offered with this property. This home is heated by fireplace, hot water, in floor, oil, woo and annual taxes are $2018. All this can be yours for only $409,000.00. When its PEI real estate call , your PEI real estate agent of choice, will be there throughout the real estate buying process to assist you. LIVE HERE - BUY THIS! Features the popular open concept layout Location, Location, Location - in and around or only a short drive from Summerside. Situated in a location close to many common destinations and amenities. Could be your summer home for years to come, providing enjoyment, relaxation as well as investment. Property features mature treed grounds and parkland property. You can skip the need to landscape with this mature garden. This house is 2 years old and has 3 bedrooms and 2 bathrooms (and may include partial bathrooms). The lot is a total of .17 of an acre and the area of this home is 1436 sq. ft. This home has many features including, garden shed, garage, deck, walk-in closet, plenty of storage, fireplace, master bedroom ensuite bathroom, a kitchen pantry, stand-by generator and air conditioning. The exterior is finished in vinyl and the roof is asphalt shingles. Home sits on a slab foundation. Water is sourced from a municipal supply and sewage waste is processed by a municipal sewage system. There is no property disclosure (PCDS) offered with this property. This home is heated by radiant, electric and annual taxes are $3470. 24 hours notice required to show this home. You can own this home for only $424,900.00. Let , your PEI real estate agent find the right home for you. Call today to view this property. Call today and you could be living here soon. Warm water and sandy beaches make this your island getaway. Very private property. Close to golf courses. This is country living at its best. The lot here is wooded. This house is 201 years old and has 4 bedrooms and 2 bathrooms (and may include partial bathrooms). The lot is a total of 3.07 acres and the area of this home is 2800 sq. ft. This home has many features including, deck, walk-in closet, propane stove, fireplace, hardwood flooring, master bedroom ensuite bathroom, a whirlpool or jacuuzi tub, stand-by generator and a heat pump which reduces heating costs. The exterior is finished in an alternate building material and the roof is asphalt shingles. Home sits on a concrete foundation. Water is sourced from drilled well and sewage waste is processed by an on-site septic field. There is no property disclosure (PCDS) offered with this property. This home is heated by baseboard, heat pump, radiant and annual taxes are $3515. Move right in at only $425,000.00. Let , your PEI real estate agent find the right home for you. Call today to view this property. This won't last long! Open concept layout. This property speaks to privacy. Location, Location, Location - in and around or only a short drive from Summerside. Location, Location, Location - in and around or only a short drive from Charlottetown. This is country living at its best. Could be your summer home for years to come, providing enjoyment, relaxation as well as investment. Property features mature treed grounds and parkland property. You can skip the need to landscape with this mature garden. Make an Offer! This house is 108 years old and has 5 bedrooms and 3 bathrooms (and may include partial bathrooms). The lot is a total of 2.42 acres and the area of this home is 3144 sq. ft. Upgrades abound in this impressive home. This home has many features including, garage, deck, heat pump and fully well-insulated living area. The exterior is finished in wood shingles and the roof is asphalt shingles. Home sits on a concrete, stone` foundation. Water is sourced from drilled well and sewage waste is processed by an on-site septic field. There is no property disclosure (PCDS) offered with this property. This home is heated by baseboard, hot water, electric, oil, pro and annual taxes are $undisclosed but please contact , We will be happy to help you. You can own this home for only $427,500.00. PEI real estate offers a chance for buyers to enter the real estate market. Call to learn more about this property. Take a step on the property ladder with this desirable property. Open concept layout. This home is absolutely private. This summer home/location is accessible year round. This house is 13 years old and has 3 bedrooms and 2 bathrooms (and may include partial bathrooms). The lot is a total of 3.7 acres and the area of this home is 1116 sq. ft. Excellent for the less than handy or simply too busy to renovate. This home has many features including, workshop and a heat pump which reduces heating costs. The exterior is finished in vinyl and the roof is asphalt shingles. Home sits on a wood foundation. Water is sourced from dug well and sewage waste is processed by an on-site septic field. There is no property disclosure (PCDS) offered with this property. This home is heated by basboard, electric and annual taxes are $2558. Priced at just $429,000.00 this property represents true real estate value. PEI real estate offers a chance for buyers to enter the real estate market. Call to learn more about this property. Call today and you could be living here soon. This is a Handyman Special! Warm water and sandy beaches make this your island getaway. Location, Location, Location - in and around or only a short drive from Summerside. Located within easy reach of all major amenities. Close to golf courses. This is a summer escape that will keep you coming back year after year. Close to schools. This house is 80 years old and has 4 bedrooms and 3 bathrooms (and may include partial bathrooms). The lot is a total of 0.2 of an acre and the area of this home is 1938 sq. ft. A solid home featuring many upgrades and updates. This home has many features including, garden shed, garage, deck, hardwood flooring and a heat pump which reduces heating costs. The exterior is finished in vinyl and the roof is asphalt shingles. Home sits on a stone foundation. Water is sourced from a municipal supply and sewage waste is processed by a municipal sewage system. There is no property disclosure (PCDS) offered with this property. This home is heated by forced air, heat pumps x2, electric, oil and annual taxes are $undisclosed but please contact , We will be happy to help you. All measurements are approximate and purchaser should verify. All this can be yours for only $429,000.00. Let , your PEI real estate agent find the right home for you. Call today to view this property. Have a look here - great living awaits. Wake up to inspiring waterviews! Confederation Bridge visible from your windows. This property speaks to privacy. Location, Location, Location - in and around or only a short drive from Summerside. Location, Location, Location - in and around or only a short drive from Charlottetown. This is a summer escape that will keep you coming back year after year. You can skip the need to landscape with this mature garden. Priced to Sell! This house is 13 years old and has 3 bedrooms and 3 bathrooms (and may include partial bathrooms). The lot is a total of .47 of an acre and the area of this home is 2776 sq. ft. This home has many features including, garage, workshop, deck, walk-in closet, propane stove, laundry area, fireplace, master bedroom ensuite bathroom, a kitchen pantry and patio doors to outside area. The exterior is finished in wood siding and the roof is asphalt shingles. Home sits on a concrete foundation. Water is sourced from a private well and sewage waste is processed by an on-site septic field. There is no property disclosure (PCDS) offered with this property. This home is heated by baseboard, fireplace, furnace, oil, prop and annual taxes are $2461. Call today for pricing details. When its PEI real estate call , your PEI real estate agent of choice, will be there throughout the real estate buying process to assist you. You will not be disappointed. Close to beaches with water temperatures rivalling the Carolina's in summer. Location, Location, Location - in and around or only a short drive from Summerside. This home is wheelchair accessible! You can watch the sunsets as you relax after a day. Warm, cozy house to come home to. This is a summer escape that will keep you coming back year after year. A mature garden means no extra expense or hassle. This house is 7 years old and has 4 bedrooms and 2 bathrooms (and may include partial bathrooms). The lot is a total of .17 of an acre and the area of this home is 2284 sq. ft. This home has many features including, garden shed, garage, deck, walk-in closet, plenty of storage and a fireplace for those cold winter nights. The exterior is finished in vinyl and the roof is asphalt shingle. Home sits on a slab foundation. Water is sourced from a private well and sewage waste is processed by an on-site septic field. There is no property disclosure (PCDS) offered with this property. This home is heated by electric, propane and annual taxes are $2324. Call today for pricing details. Let , your PEI real estate agent find the right home for you. Call today to view this property. This home exceeds expectations. This is an EXECUTIVE HOME offering exceptional quality and appointments! Summer life on the water. Easy to reach beaches make this a desirable property. Very private property. Location, Location, Location - in and around or only a short drive from Summerside. Location, Location, Location - in and around or only a short drive from Charlottetown. Located within easy reach of all major amenities. A Golf Paradise. This is country living at its best. Well maintained home. This is a summer escape that will keep you coming back year after year. This house is 4 years old and has 4 bedrooms and 15 bathrooms (and may include partial bathrooms). The lot is a total of 3.03 acres and the area of this home is 2600 sq. ft. This home has many features including, deck, walk-in closet, fireplace, hardwood flooring and an ensuite in master bedroom. The exterior is finished in hardy plank and the roof is asphalt shingle. Home sits on a concrete, slab foundation. Water is sourced from a private well and sewage waste is processed by an on-site septic field. There is no property disclosure (PCDS) offered with this property. This home is heated by electric, propane and annual taxes are $4145. All this can be yours for only $474,900.00. When its PEI real estate call , your PEI real estate agent of choice, will be there throughout the real estate buying process to assist you. This home exceeds expectations. Features the popular open concept layout This home is absolutely private. Location, Location, Location - in and around or only a short drive from Summerside. Great location - just minutes to town. This is a summer escape that will keep you coming back year after year. This house is 2 years old and has 3 bedrooms and 3 bathrooms (and may include partial bathrooms). The lot is 550x184 and the area of this home is 3100 sq. ft. This home has many features including, deck, fireplace and an ensuite in master bedroom. The exterior is finished in vinyl and the roof is asphalt shingles. This home sits on a foundation that has not been fully defined, please consult the listing realtor for further information. Water is sourced from drilled well and sewage waste is processed by an on-site septic field. There is no property disclosure (PCDS) offered with this property. This home is heated by geo thermal, electric and annual taxes are $3944. Call this property home at just $498,900.00. Hurry this one won't keep. Call today and view this excellent PEI real estate listing. This could be your new family home. Open concept layout. Potential to be rented for additional income. A real mortgage helper. The water is only a short distance away from this much sought after property. Very private property. Location, Location, Location - in and around or only a short drive from Charlottetown. Great location - just minutes to town. You can watch the sunsets as you relax after a day. Amazing location for the nature lover. Property offers mature treed, parklike setting. You can skip the need to landscape with this mature garden. Make an Offer! This house is 11 years old and has 5 bedrooms and 3 bathrooms (and may include partial bathrooms). The lot is a total of 4.02 acres and the area of this home is 2651 sq. ft. The exterior is finished in cementitious board, stone and the roof is asphalt shingles. Home sits on a insulated concrete foundation. Water is sourced from drilled well and sewage waste is processed by an on-site septic field. There is no property disclosure (PCDS) offered with this property. This home is heated by forced air, geo thermal, radiator, elect and annual taxes are $2818. 24 hours notice required to show this home. All this can be yours for only $499,000.00. Hurry this one won't keep. Call today and view this excellent PEI real estate listing. Look no further! Property is located in a well developed subdivision. This summer home/location is accessible year round. A Golf Paradise. A mature garden means no extra expense or hassle. This house is 12 years old and has 4 bedrooms and 4 bathrooms (and may include partial bathrooms). The lot is a total of 1.13 acres and the area of this home is 2624 sq. ft. This home has many features including, deck, walk-in closet, fireplace, hardwood flooring and an ensuite in master bedroom. The exterior is finished in wood shingles and the roof is asphalt shingles. Home sits on a concrete foundation. Water is sourced from a municipal supply and sewage waste is processed by an on-site septic field. There is no property disclosure (PCDS) offered with this property. This home is heated by radiant, electric, propane and annual taxes are $undisclosed but please contact , We will be happy to help you. Move right in at only $499,000.00. When its PEI real estate call , your PEI real estate agent of choice, will be there throughout the real estate buying process to assist you. Take a step on the property ladder with this desirable property. This property speaks to privacy. This house is 29 years old and has 4 bedrooms and 2 bathrooms (and may include partial bathrooms). The lot is a total of 1 acre and the area of this home is 2478 sq. ft. Absolutely charming and ready to go this home has been well updated. This home has many features including, garage, deck, patio doors to outside area and a heat pump which reduces heating costs. The exterior is finished in steel and the roof is asphalt. Home sits on a concrete, slab foundation. Water is sourced from a private well and sewage waste is processed by an on-site septic field. There is no property disclosure (PCDS) offered with this property. This home is heated by electric, oil, wood and annual taxes are $2394. Call today for pricing details. Call or email , your first choice in PEI real estate agents for further details and to arrange a showing. This won't last long! The water is only a short distance away from this much sought after property. This is country living at its best. Make an Offer! This house is 9 years old and has 4 bedrooms and 2 bathrooms (and may include partial bathrooms). The lot is a total of 2.6 acres and the area of this home is 2700 sq. ft. This home has many features including, outbuilding, garage, walk-in closet, hardwood flooring, master bedroom ensuite bathroom, wood/oil combination firnace and a paved driveway. The exterior is finished in vinyl and the roof is asphalt shingles. Home sits on a concrete foundation. Water is sourced from drilled well and sewage waste is processed by an on-site septic field. There is no property disclosure (PCDS) offered with this property. This home is heated by hot water, in floor, oil, wood and annual taxes are $3579. Move right in at only $549,900.00. Call today for your private showing of this desirable PEI property. Call today and you could be living here soon. Enjoy peace of mind with this newly constructed home. You could call this amazing LOG CABIN your next home or summer getaway . Open concept layout. Enjoy sandy PEI beaches and waterfront within easy reach of this property. This property speaks to privacy. Location, Location, Location - in and around or only a short drive from Charlottetown. Great location - just minutes to town. This is a family home of historic significance. A Golf Paradise. Property has a small brook running through it. Property offers mature treed, parklike setting. Make an Offer! This house is 8 years old and has 3 bedrooms and 3 bathrooms (and may include partial bathrooms). The lot is a total of 0.69 of an acre and the area of this home is 2792 sq. ft. This home has many features including, garage, fireplace, master bedroom ensuite bathroom and a kitchen pantry. The exterior is finished in insulated concrete, wood shingles and the roof is asphalt shingles. Home sits on a concrete, slab, insulated concrete foundation. Water is sourced from drilled well and sewage waste is processed by an on-site septic field. There is no property disclosure (PCDS) offered with this property. This home is heated by fireplace, geo thermal, heat pump, inflo and annual taxes are $4794. Move right in at only $550,000.00. PEI real estate offers a chance for buyers to enter the real estate market. Call to learn more about this property. Do not Miss this One! You could call this amazing LOG CABIN your next home or summer getaway . Potential to be rented for additional income. A real mortgage helper. Location, Location, Location - in and around or only a short drive from Summerside. Location, Location, Location - in and around or only a short drive from Charlottetown. Enjoy this quiet location. Located within easy reach of all major amenities. Enjoy the country lifestyle here. Could be your summer home for years to come, providing enjoyment, relaxation as well as investment. The lot here is wooded. This house is 28 years old and has 2 bedrooms and 1 bathroom. The lot is a total of 5.02 acres and the area of this home is 1420 sq. ft. This home has many features including, barn, garden shed, garage and a garden gazebo. The exterior is finished in wood and the roof is asphalt shingle. Home sits on a concrete foundation. Water is sourced from a private well and sewage waste is processed by an on-site septic field. There is no property disclosure (PCDS) offered with this property. This home is heated by wood and annual taxes are $969. 24 hours notice required to show this home. You can own this home for only $599,000.00. Call today for your private showing of this desirable PEI property. Do not Miss this One! No Worries! Here is a brand new home. Just built and ready to move into. Open concept layout. Are you looking for a FIXER-UPPER? Close to wonderful, warm sandy beaches. This home is absolutely private. Sure to please the nature lover in you. Could be your summer home for years to come, providing enjoyment, relaxation as well as investment. Make an Offer! This house is 24 years old and has 7 bedrooms and 5 bathrooms (and may include partial bathrooms). The lot is a total of 15 acres and the area of this home is 6300 sq. ft. This home has seen many updates and renovations. This home has many features including, garage, deck, fireplace and hardwood flooring, a popular alternative to carpet. The exterior is finished in wood and the roof is asphalt shingle. Home sits on a concrete foundation. Water is sourced from a private well and sewage waste is processed by an on-site septic field. There is no property disclosure (PCDS) offered with this property. This home is heated by electric, wood and annual taxes are $6226. Realistically priced at $599,900.00. Call or email , your first choice in PEI real estate agents for further details and to arrange a showing. This home exceeds expectations. This property speaks to privacy. This summer home/location is accessible year round. You can watch the sunsets as you relax after a day. Well maintained home. A mature garden means no extra expense or hassle. This house is 17 years old and has 5 bedrooms and 3 bathrooms (and may include partial bathrooms). The lot is 50+ and the area of this home is 3374 sq. ft. This home has many features including, barn, garden shed, garage, deck, garden gazebo and a new roof. The exterior is finished in vinyl and the roof is asphalt shingle. Home sits on a concrete foundation. Water is sourced from a private well and sewage waste is processed by an on-site septic field. There is no property disclosure (PCDS) offered with this property. This home is heated by oil, propane, wood and annual taxes are $3747. 24 hours notice required to show this home. Call today for pricing details. Contact , your first choice in PEI real estate agents to view this home and for assistance in purchasing property on PEI. Have a look here - great living awaits. Features the popular open concept layout Enjoy your very own waterfront/oceanview estate. When privacy is what you want - look here. Location, Location, Location - in and around or only a short drive from Charlottetown. Great location - just minutes to town. This house is 30 years old and has 4 bedrooms and 15 bathrooms (and may include partial bathrooms). The lot is a total of .49 of an acre and the area of this home is 3128 sq. ft. This home has many features including, workshop, deck, eat-in kitchen, walk-in closet, plenty of storage and laundry area. The exterior is finished in brick, wood and the roof is ashphalt. Home sits on a concrete foundation. Water is sourced from a municipal supply and sewage waste is processed by a municipal sewage system. There is no property disclosure (PCDS) offered with this property. This home is heated by oil, propane and annual taxes are $8556. Call this property home at just $1,080,000.00. Hurry this one won't keep. Call today and view this excellent PEI real estate listing. This won't last long! Close to beaches with water temperatures rivalling the Carolina's in summer. Great location - just minutes to town. Enjoy this quiet location. This is a summer escape that will keep you coming back year after year. This house is 133 years old and has 6 bedrooms and 1 bathroom. The lot is a total of 17.55 acres and the area of this home is 2742 sq. ft. This home features a deck for those warm summer evenings. The exterior is finished in wood siding and the roof is metal. This home sits on a pier or post foundation or other temporary type of foundation. If you have any questions regarding the foundations of this home please contact the listing realtor. Water is sourced from a private well and sewage waste is processed by an on-site septic field. There is no property disclosure (PCDS) offered with this property. This home is heated by electric, propane, wood and annual taxes are $2018. Move right in at only $1,177,000.00. Call today for your private showing of this desirable PEI property. This won't last long! No Worries! Here is a brand new home. Just built and ready to move into. Great waterviews from this property. Summer life on the water. Easy to reach beaches make this a desirable property. Very private location. Location, Location, Location - in and around or only a short drive from Charlottetown. Relax in the evening with sunsets views from your windows. Make an Offer! Has to be seen to be appreciated. This house is 9 years old and has 4 bedrooms and 15 bathrooms (and may include partial bathrooms). The lot is a total of 1.54 acres and the area of this home is 3394 sq. ft. This home features a deck for those warm summer evenings. The exterior is finished in cementitious board and the roof is asphalt shingle. Home sits on a slab foundation. Water is sourced from a private well and sewage waste is processed by an on-site septic field. There is no property disclosure (PCDS) offered with this property. This home is heated by electric, propane and annual taxes are $8365. You can own this home for only $1,399,900.00. Call today for your private showing of this desirable PEI property. LIVE HERE - BUY THIS! Warm water and sandy beaches make this your island getaway. If its privacy you want you will find it here. Great location - just minutes to town. You can watch the sunsets as you relax after a day. This is a summer escape that will keep you coming back year after year. You can skip the need to landscape with this mature garden. This house is 14 years old and has 3 bedrooms and 4 bathrooms (and may include partial bathrooms). The lot is 30.89+/- and the area of this home is 4763 sq. ft. This home has many features including, fireplace and tennis courts. The exterior is finished in wood shingles, wood siding, other and the roof is an alternate building material. Home sits on a concrete foundation. Water is sourced from drilled well and sewage waste is processed by an on-site septic field. There is no property disclosure (PCDS) offered with this property. This home is heated by oil, electric, propane, wood, central ai and annual taxes are $11429. 24 hours notice required to show this home. You can own this home for only $1,999,999.00. PEI real estate offers a chance for buyers to enter the real estate market. Call to learn more about this property. Do not Miss this One! You can skip the need to landscape with this mature garden. This house is 11 years old and has 6 bedrooms and 40 bathrooms (and may include partial bathrooms). The lot is a total of 11 acres and the area of this home is 13360 sq. ft. Excellent for the less than handy or simply too busy to renovate. The exterior is finished in wood and the roof is asphalt. Home sits on a concrete foundation. Water is sourced from a private well and sewage waste is processed by an on-site septic field. There is no property disclosure (PCDS) offered with this property. This home is heated by electric, propane, wood and annual taxes are $58273. Realistically priced at $4,900,000.00. Call today for your private showing of this desirable PEI property.